FREE EBOOK click to download - When book comes up click down arrow on Upper Right to save a copy. "A second reason that young people depart church as young adults is that something is lacking in their experience of church. One-third said “church is boring” (31%). One-quarter of these young adults said that “faith is not relevant to my career or interests” (24%) or that “the Bible is not taught clearly or often enough” (23%). Sadly, one-fifth of these young adults who attended a church as a teenager said that “God seems missing from my experience of church” (20%)." If one takes a look at the modern church-scape I can see why. The gap between those pastors and teachers that are fired up about Jesus and those that do not preach all of the gospel was never more apparent than it is today. As a pastor my experience has been that young people are not just lemmings, hopelessly caught in following the lead of a mindless friend, but they have their own mind that allows them to make very rational judgments concerning many things. One of those is Christianity. How the gospel is taught, how it is portrayed, how it is lived out, and how relevant it is shown to be means a lot to them--and it should. For too long the church has suffered with a shallow gospel. Adult church-goers, in many cases, do not know any different because its all they have ever seen. Some churches just thrive on "boring," while for others church is just a "necessary ritual," a kind of "Roll call for Jesus" where no relevant message about Jesus is ever delivered. Others have strayed so far off course that you wouldn't even know if they knew what the gospel was. Its a crying shame that our young people have to be subjected to such gatherings. Then we wonder why they leave it in the rear-view mirror as soon as they leave the nest! Fools we are who believe that a boring and non-relevant ritualistic gospel is going to lasso them in for life. 15 – Why So Many Religions? The Struggle: Christianity is just one of many other religions. The Answer: ..... Download to see!! Please pass this on to as many as you want either via email, video, twitter, facebook or what ever way you like. Also, please pray for this to speak to our young people. We give it away 100% free no string attached just as God asked. May He be glorified. If you have any questions post here or drop me an email at pastormike@springfieldfirstbaptist.org. It will also be available soon at www.businessmeninchrist.com, www.springfieldfirstbaptist.org. I will add other sites to download as they become available! Thank you for this free resource. My husband is a light in a dark work place. Constantly under attack. It is taking a lot out of him physically as he is constantly bearing witness to Christ! And we rejoice counting it all joy. This resource is so perfect. It literally answered all the questions his co-workers are asking him on a daily basis. We were a bit strapped for cash this paycheck, so I really am most thankful you so graciously made this available. Gods blessings to you. Mimi, I do not think there could have ever been a better comment! May God receive the glory it is His work! This resource has been out for about a month. Here is the story behind the story. The Lord placed a conviction on my heart on the first Monday of March 2014 because a skating event had nearly 400 public school kids attending it. Knowing what they are taught I fell under immediate conviction and direction. In minutes I shared this with some other men and requested prayer that a resource like such could be ready by the first Monday in April.It was done and published in 3 weeks! Since it has been downloaded 1000 + times and shared via email 10 times that. I really hope and pray that it will be useful to help answer questions your husbands co-workers have. PLEASE UPDATE ME. I love testimonies and I love to share them. I have not download the book and therefore nor read it, but I want to comment on the fact that you made it available for free. I am in the same situation as MiMi B so far as the available funds is concern. If you read the New Testament carefully, you discovered that one of our main purposes for which we were save, was for our fellow brothers and sisters. There is a lot of christens out there that find life financially not easy and the prosperity gospel has distorted the picture so that they feel condemned because they are not flourishing. A lot of us sit in a situation that we cannot be feed properly by the so called churched in our area (sorry the sarcasm). It is those people that follow Mat 10:8(b) “Freely you have received; freely give”, that help us in this mixed-up world. In these days satan has step up his onslaught and his attaches against God’s people. As always, he wants to isolate them. It is people like you that help them (us) to stand firm. I pray that you will experience a tremendous blessing from God NOW IN YOUR LIFETIME. Note: if my English is not up to standard, forgive me because it is not my home language. Thanks for the spell checker! Dear Andries,Thank you for asking God to bless the ministry. 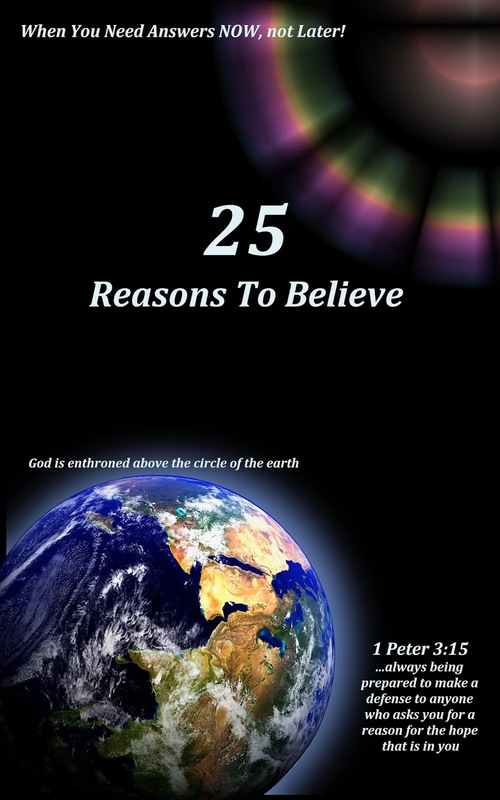 I believe so much in the content of the book, that it will help new believers with unanswered questions, that I would not offer it any other way. Yes the gospel is free and there should be avenues of every type that allow it to be received freely. This is one of those avenues. If there is anything else you need or any other questions you would like answered please feel free to post them. I always answer the posts on the blog. May God's blessings be yours as well and may He turn heaven upside down to make Himself known to you in an amazing way. No greater love has ever been shown to us that God becoming like us for a moment in time to make all see He is a God that can be approached and can be touched with our prayer. Because He became like us He can full represent us and He did this by defeating death upon the cross. His love could not be shown in a greater way.